The world is being invaded by aliens, and almost nobody knows about it. The Yeerks are a race of parasitic slug-like creatures that invade the mines of host species, taking total control of the body and rendering the poor victim a prisoner in their own head. They have already enslaved the Gedds, the Hork-Bajir and the Taxxons and now they are coming for the human race. But a dying Andalite, the main enemies of the Yeerks across the galaxy, manages in his final moments to give five human youths the ability to transform into any animal that they touch. 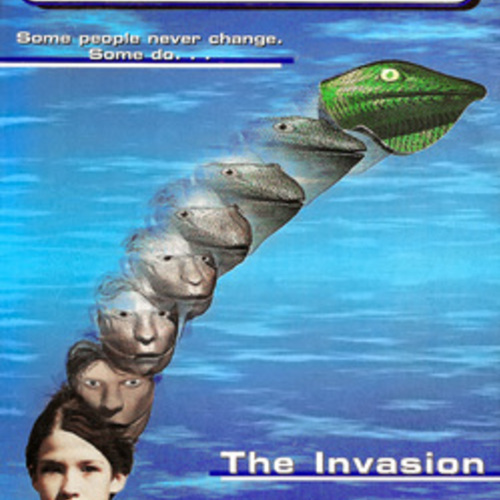 This small band of children - the Animorphs - are all that can hold back the Yeerk invasion until the main Andalite fleet arrives. I have successfully cast the seven main cast members for the Animorphs series, so here is the page for the guest characters of the first book. Some of these characters are oneshot appearances, others will be recurring characters that pop up every so often throughout the series. But all will help to build up the Animorphs world and help to get this project off the ground. Thank you to anyone that auditions. Elfangor is a kind, selfless and noble Andalite warrior who crash-lands on Earth after a failed attempt to defeat the invading Yeerks in a space battle above. He bravely breaks the laws of his own people to give the humans a little bit of hope even as he is dying. He will appear in a prequel book and in a flashback later in the series. The Yeerks are parasites. They must have a host to live in. In this form they are known as Controllers. They enter the brain and are absorbed into it, taking over the host's thoughts and feelings. Go now. Only remember this - never remain in animal form for more than two of your Earth hours. Never! That is the greatest danger of the morphing! If you stay longer than two hours you will be trapped, unable to return to human form. Run! Visser Three is here. 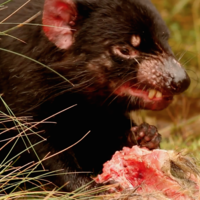 He is the most deadly of your enemies. Of all Yeerks he alone has the power to morph. The same power you now have. Run! Tom is the older brother of Jake, and throughout the series he controlled by a relatively high-ranking and power-hungry Yeerk. He usually acts like a normal, carefree teen boy but when in the presence of his fellow Controllers he allows his true colours and arrogance to show. He is a recurring character appearing in several. I didn't say anything because I knew you and Dad would make a big thing of it. Look, there are more important things than throwing balls through hoops. Besides, we do much cooler stuff at The Sharing. Maybe you should join up. First you become an associate member. Later the leaders will decide whether to ask you to become a full member. Once you become a full member… the whole world changes. It could have been anyone. But it might be the one who's my brother, Jake. I know he goes through the construction site sometimes. That's why I brought him here tonight. So we could either make him ours… or kill him. Chapman is the assistant principal at the school which all the Animorphs attend. He is also a very high-ranking Controller, and one of Visser Three's personal lackies. As with most Controllers he acts like a normal teacher around the general public, but is very self-important around other known Yeerks. He is, however, somewhat cowardly and is terrified of Visser Three's wrath. 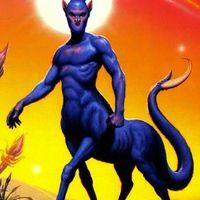 He is a recurring character that appears in many of the Animorphs books. No. No need to capture them. Whoever you find, kill. Just save the head. Bring that to me and we can identify it. Item one. We still have not found the brats who were at the construction site. I want them found. Visser Three wants them found. Does anyone have any clues? That Andalite-Controlling scum. I wish the Council of Thirteen would find out what kind of a mess he's making on this planet. Let them take that Andalite body from him and throw him back in some distant pool on the home world. A random homeless man who becomes an unfortunate distraction for a Hork-Bajir chasing Jake. One appearance only. Hey, get outta here. This is my place, and I ain't got nothin' for you to steal. Jake's mother is a character that appears occasionally throughout the series. She is a freelance writer, and a somewhat firm, no-nonsense woman. Eat the broccoli, Jake, it's good for you. It's full of trace minerals and vitamins you can't get anywhere else. Where have you been all afternoon and evening? Jake's father is a doctor with relaxed demeanour and a quick sense of humour most of the time, but can also be very stubborn when he needs to be. He appears a few times throughout the series. I don't know why you bother to ask. His answer is always the same - hanging out. A girl. I know these things. I'm a doctor. A suspicious policeman Controller that almost spots one of the Animorphs morphing. He appears only in the first book. We're making some inquiries. We're looking for some kids who were shooting off fireworks in the construction site across from the mall last night. Tom's your brother, eh? Well, he's a good kid. I know him from The Sharing. I'm one of the adult supervisors. Great group, The Sharing. You should come to a meeting. Okay, take off. But I have my eye on you. Get back with the others. Only the one line shown below. A woman who immediately starts screaming as soon as the Yeerk controlling her slips free from her head. She only has the two lines shown below. You filth, let me go! Let me go! I am a free woman! You can't keep doing this! I am not a slave! Let me go! Help! Oh, please, someone help. Help us all! A man who works at the Gardens caring for animals. He only has the one line shown below. Hey, you're Cassie, right? The doc's kid? How's it going? A relatively old security guard working at the Gardens who spots the Animorphs in a place where they shouldn't be. He only has the two lines shown below. Hey! Hey, you! What are you kids doing back here? Stop! You kids better stop! A younger security guard working at the Gardens who chases the Animorphs. He only has the two lines shown below. Hey, you kids! Stop right there! There they are! Get them. Stop! Cassie's mother is a recurring character who appears in several of the Animorphs books. She is a veterinarian that works at the Gardens and is incredibly passionate about animals, and she cares very much for her daughter. She's not in. She wasn't home for dinner. She went out to feed some of the animals and didn't come back. Oh, you just get more handsome every time I see you, Jake. Are you staying for some of the Chili of Doom? Get back, Cassie. I knew those high voltage power lines would have an impact on the wildlife. Stay behind me. It could be radioactive. A man who only has the three lines below and only appears in the first book. He is incredibly shocked to see an elephant in the middle of a secret, underground facility. You! You two. Who are you?